 We are an industry-leading commercial real estate developer that’s served the Treasure Valley for more than 20 years. Northwest Development Company creates real business opportunities for clients, one successful development project at a time. Caldwell Commons. Dollar Tree. Advance Auto. These are just a few of our successful development projects in the Treasure Valley. At Northwest Development Company, we don’t just achieve market standard - we set the standard. Northwest Development Company is a full-service real estate developer that's committed to providing clients with lasting solutions. Success speaks for itself: click below to read testimonials from our past and present clients in their words. We’re experts at handling all aspects of development from build-to-suit or design-build, all the way to feasibility studies and zoning entitlements. At Northwest Development, we demystify the process and provide you with solutions specific to your project. With over 20 years in the industry, Northwest Development has the experience and problem-solving skills to tackle any development project. Our award-winning team is well-known for delivering ahead of schedule and under budget. We’re proud design-builders. Our expert team handles both design and construction on development projects of all sizes. This minimizes risks and accelerates the schedule since you won’t have to coordinate with multiple contractors. Northwest Development Company offers consulting and strategic planning services to clients who are developing both public and private properties. Click below to learn more about our process. Dollar Tree is a chain of discount retail stores. They operate 13,600 stores throughout the U.S. and Canada.  Pita Pit is a counter-served restaurant chain that offers health-oriented sandwiches that diners can create themselves. Grocery Outlet is a supermarket chain that sells discount and closeout products from name-brand and private label suppliers. Advance Auto Parts is the largest retailer of automotive replacement parts and accessories in the U.S.
A fast food chain with a Retro-American touch. Famous for steakburgers and delicious frozen custard. The Human Bean is a coffee company and coffeehouse chain with 37 coffee shops in the United States. The Caldwell Commons is a shopping center development centrally located between Nampa and Caldwell, Idaho. Fall Creek Construction is a custom home builder that distinguishes themselves with superior craftsmanship and premium materials. What's New at Nw. Dev. Co.
Northwest Development Company is happy to answer all your questions, discuss the solutions we provide, and help you tackle even the most challenging projects. If you have questions for Northwest Development, please email us and we get back to you as soon as possible. Copyright ©2019 Northwest Development Companies. All rights reserved.